Tropical palm tree decor photography! Tulum Mexico aqua & greenery wall art beach photo "I Want to go to Water." This print is all-in turquoise aqua lushness with a stylish palm tree edge to add a touch of Pantone Greenery! Artistic photo image made from double exposure layering of my "I Want to go There" Tulum Mexico palm tree photo with a sleek, luscious shot of clear blue water off the Yucatan Peninsula. The combination of land and sea imagery from the tropical coast combines to create a refreshing, simple (almost abstract!) image that would bring a splash of summer to your living room or bedroom wall. Lab printed on professional photo paper and ready to frame. Framed image is for display only, no frame is included in this print-only listing. This print is available with a .75 inch border all around, or as a full bleed (borderless) image. *Please let me know which you would like when ordering. * A border helps to keep the entire image visible when matting or framing, and provides a nice "padding" around the image when framed without a mat. Most mats and frames cover about 1/4 inch of the image. Slight cropping may occur with various print sizes. Please note, colors and luminosity may vary based on computer monitors, and the print is not likely to match your monitor exactly. Slight cropping may occur with various print sizes. 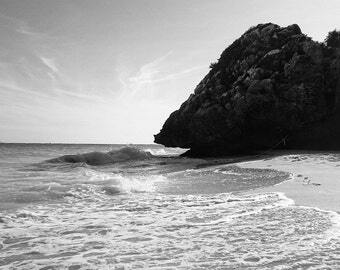 Tropical B&W Photography "Everyday is Like Sunday" Black and white beach with palm tree. Wall art for grey decor. 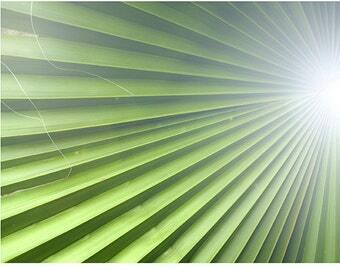 Lush tropical bright green Tulum palm frond photograph. Beachy boho wall art. Pantone Color of the year Greenery decor print! Beach water photography "Surface." 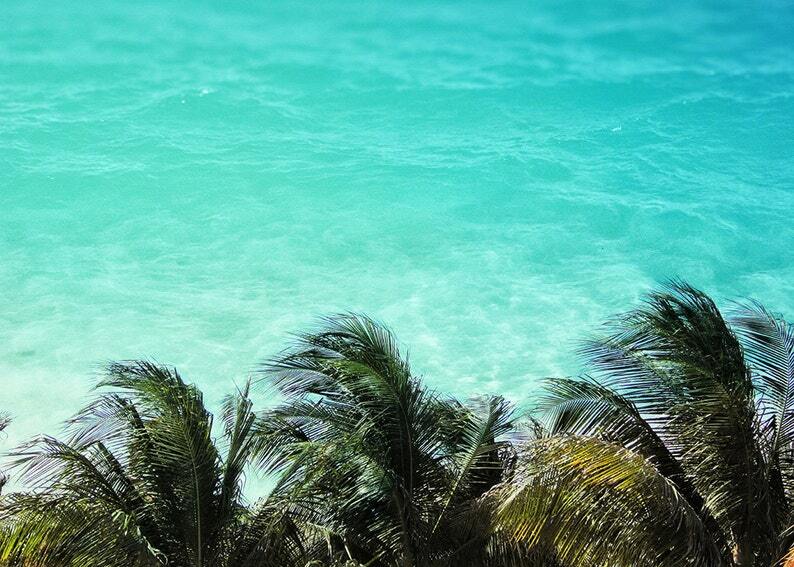 Tulum Mexico aqua turquoise ocean photograph. Boho bright water wall art! 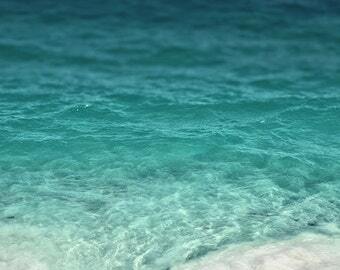 METALLIC teal sparkling beach water photography "Surface" Tulum Mexico aqua turquoise ocean photograph. Tropical water wall art! Tropical black and white photography. 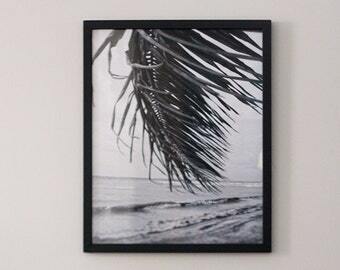 B&W beachy wall art photo print of Tulum beach "Silencio"
Tulum ocean water photo of aqua turquoise sea. Tropical blue and white beachy wall art print "Coral Blanco"! Tulum photo! Aqua ocean water & white coral star in this turquoise sea SQUARE print. 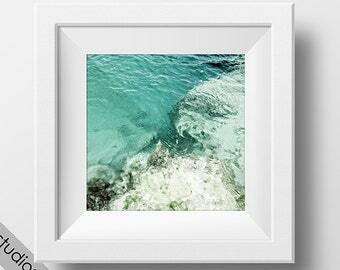 Tropical blue beachy wall art 12x12 "Coral Blanco Cube"
Glamorous wall art print. 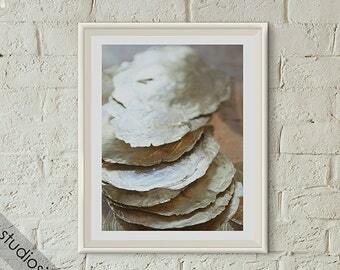 Subtle shell photography "Capiz Stack" Minimalist ivory decor. This is such a beautiful print and looks stunning in our bathroom. Thank you! Excellent print and fantastic communication from seller. The print looks amazing above my bar! Abstract photography print "Salt Mountain." Blue and white, aqua, turquoise, gray photograph. Frameable wall art! It goes so well with the other print I ordered! My living room is so pretty now. Arrived quickly and in terrific condition. Ready to buy again soon! I want you to love your art, and I take great care in packaging it to minimize the risk of damage in transit. If an item arrives damaged, please contact me within 3 days of receipt and we'll work out a replacement. If the quality was not what you were expecting, or there are any other problems, let me know that too. I want to ship prints that will put a smile on your face, so if that doesn't happen, drop me a line and I'll fix it. Print orders containing only prints that are 16x20 and under ship within the US for $3 per order. Orders containing large prints over 16x20 will ship at $7 within the US for any number of prints. Prints will be shipped securely in boxes or rigid mailers. Most prints will ship via USPS. Minimalist Zen Beach Photography Silver Coast. 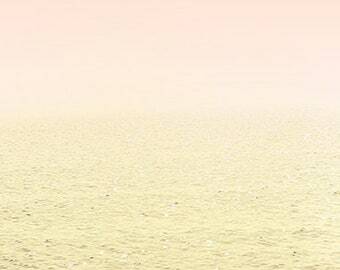 Blush pink ombre art photograph. Misty sunset Great Lakes art print! Lake Michigan Beach Photography print King of the Beach. 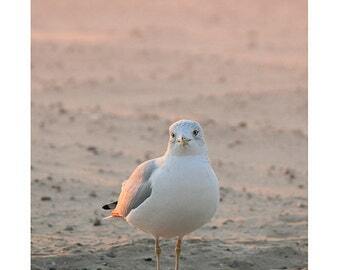 Art print of seagull & sand with pink ombre sunset. Great Lakes wall art. 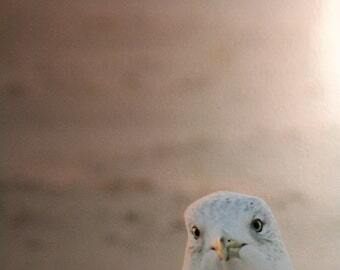 METALLIC art print of seagull & sand with pink ombre sunset. Lake Michigan Beach Photography "King of the Beach." Frameable Great Lakes art. 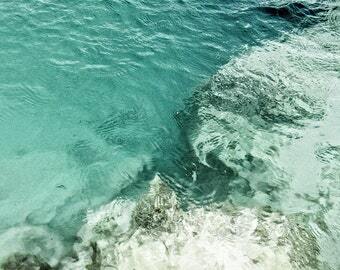 Square photo of teal Tulum beach ocean water. 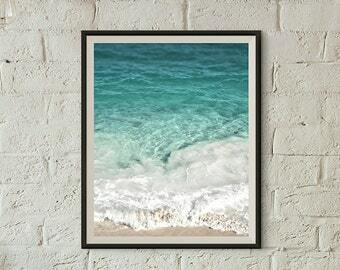 Turquoise wall art seashore decor. "Surface Cube" fits in record album frame or Ikea RIBBA. 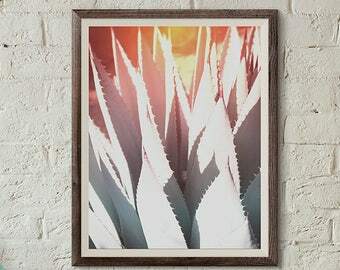 Colorful cactus print succulent photography "Desert Ombre" Lovely southwest art photograph, rainbow lens flare. Boho bright cactus wall art! 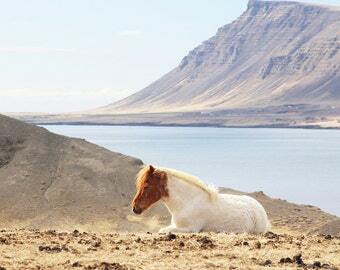 Iceland print of horse with rugged mountain landscape and blue water. Iceland photography art "Horse Mountain." VW Bug Volkswagen Beetle blue and white beach buggy car art photo print, Air Cooled. Palm tree shadows on Mexico coastal town. Boho decor!